New Delhi: A high-level panel of secretaries has recommended rejecting bids by Reliance Industries and state-owned Oil and Natural Gas Corp (ONGC) for the Andaman sea block as they had offered “very low" profit share to the government. RIL, which had bid for six out of the 34 areas offered for exploration under the ninth auction round of New Exploration Licensing Policy (NELP) earlier in 2011, was ranked number one for the Andaman deepsea blocks, AN-DWN-2010/3 and AN-DWN-2010/4, ahead of a consortia of ONGC and Oil India Ltd.
ECS in its recommendations, which would go to the Cabinet Committee on Economic Affairs (CCEA), opined that RIL should not be awarded these two blocks, they said. The panel had gave the same opinion on ONGC’s 6.7% profit share offer for two other Andaman Sea block - AN-DWN-2010/1 and AN-DWN-2010/2, where it was the sole bidder. It also wanted the bid by a consortium of ONGC-OIL and GAIL for deepsea block GS-DWN-2010/1 and that of ONGC-OIL-BPRL for Kerala-Konkan deepwater block KK-DWN-2010/1 also rejected as they offered very low profit share. RIL lost out to lesser known companies on the four Gujarat and Rajasthan onland blocks it had bid for. Sources said ECS recommended award of only 14 out of the 33 blocks that had received bids. Of the 33 blocks, three in Mahanadi basin off the Orissa coast were to be shelved as they fell in Naval firing/exercise areas. 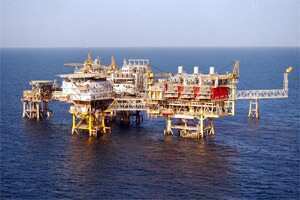 The panel recommended award of two shallow water and two onland blocks to consortia led by ONGC. State-owned OIL led consortia was adjudged winner for two onland blocks in the Assam-Arakan basin. Deep Energy walked away with two Cambay basin blocks while Focus Energy beat RIL to bag an area in Rajasthan. The remaining five blocks were recommended for award to companies like Sankalp Oil and Natural Resources, Pratibha Oil and Natural Gas Pvt Ltd and Pan India Consultants. The government had offered eight deepsea blocks, seven shallow water areas and 19 onland blocks for bidding in NELP-IX. One shallow water block did not receive any bid at the close of bidding on 28 March. The ECS recommended rejection of single bids for eight blocks where profit petroleum offered to the government ranged betwen 6.6 to 6.7%. It sought assessment of networth of top bidder for three blocks in Cambay and Rajasthan before awarding them.